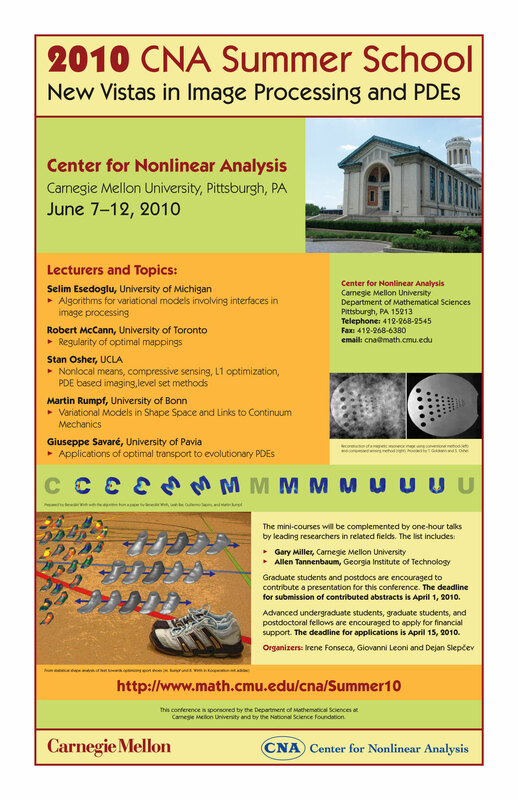 The summer school will take place in the Giant Eagle Auditorium of Baker Hall. Please follow the campus map to the Giant Eagle Auditorium. At the front of Baker Hall to the left of the main door you will see steps going down. Please take those steps and you will arrive in the reception area outside of the Giant Eagle auditorium. The last official drop off is at the corner of Fifth Avenue and Morewood. At that stop please ask the driver if you can be dropped of at Forbes Avenue and Morewood which is the next stop and the pickup location. This will save you a few steps. The other option is simply to take a taxi from the aiport to CMU. Tell the driver that you want dropped off at Donner House on Margaret Morrison at Carnegie Mellon. The cost is approximately $50 one way. Once you arrive at Carnegie Mellon, from Forbes and Morewood cross the street to main campus. You will see the "Walking to the Sky sculpture." And once there, please follow the signs to conference services check in. If you are traveling by Amtrak, please see the link below which is the Amtrak locations. You will want to get off at location A on 1100 Liberty Avenue. When you exit the station make a left and head towards the Port Authority East Busway. From the busway you will want to take any of the 61(s) to the Oakland area and get off at Forbes and Morewood. To be sure you are on the right bus, ask the driver when you get on. If you are driving to CMU please let me know (nw0z@andrew.cmu.edu) as soon as possible as I have to arrange for special permits so you can leave your car in the East Campus Garage overnight. The parking rate is $12 per day.